When I first started ultras, my stomach wasn't ever an issue. Sure, I'd lose my desire to eat but I rarely got nauseous and I couldn't puke even if I tried (and I did try on a rare off day, but the attempts were always "unproductive"). The first time I puked was at the 2013 Western States and it was actually quite beneficial. Chugging a warm Ensure left my stomach bloated and upset to the point that I was uncomfortable running and I didn't want to eat anything else. And then I threw it all up in one big heave and was instantly relieved. I felt light and easy running, and my stomach was re-set and ready to take in more calories. I felt so good for the rest of the day, I was able to put 45 minutes on my nearest female competitor and finish 9th overall. I really couldn't see why people made race puking out to be such a bad thing! But the vomiting started showing up at other races and it wasn't such a good thing. I had my head in a trash bag a Sam Merrill at mile 90 of the AC100, an issue that likely cost me the sub 21 finish I had as my 'A' goal. And at Spartathlon a few bouts of vomiting sent me into a 30 mile tailspin with low energy and the mental "blues" from not having enough sugar in the brain. And then there was this year's Western States, where the final 20 miles my stomach was tied in knots and even the tiniest sip of fluid would start a violent bout of retching. This not only ruined what had been a very good race for me, but it was horribly unpleasant and probably the most uncomfortable I have ever been at a race (the only thing that rivals is the last three hours of the 24 hour world championship running on a very sore and inflamed knee). 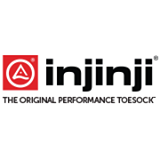 But the worst part was that I had Badwater just four weeks later and these new stomach issues caused a lot of consternation and additional anxiety. - Use simple sugar solutions (glucose/dextrose, sucrose, fructose) not the complex starches and limit protein and fat. - For people with nausea and vomiting troubles, he suggests NO protein or fat, relying solely on carbs. While protein consumption may spare muscle breakdown, amino acids provide similar protection but are easier on the stomach. Also, liquids and gels absorb faster than solids and increase gastric emptying. - Avoid "gummy" products (blocks, chews, gummy worms, etc.). These delay gastric emptying. - Specific to my run at Western States, Robert thought I needed to drink a bit more fluid per hour given the heat and then take more electrolytes, particularly sodium. (After becoming hypernatremic at Western States in 2012, I have been quite conservative with my sodium consumption; Wins at Western States and Angeles Crest with no sodium tabs and less than 200mg/hr convinced me this was the correct strategy (even though I was puking at AC). But the recent puke-fest was the wake-up call that I needed to try something different). Despite the lack of a sales pitch, I bought some EFS drink mix (300 mg sodium/bottle) and aimed to drink closer to 1.5 bottles/hour in the intense heat of Badwater instead of 1 bottle/hr + a bit extra at aid stations as I did at Western States. This seemed to be going fine for the first few hours but by mile 26 I was puking! This was horrible - I had more than 100 miles to go!! I knew I was drinking plenty of fluid so I was concerned I still needed more sodium (Tailwind, which many people swear fixed their GI issues, has 600mg sodium; Gatorade Endurance has 500mg/20 oz and and S-cap is 341 mg so EFS is middle of the road in terms of sodium content). I grabbed a can of Pringles...and promptly spit them out because they tasted way too salty - disgustingly salty - and since I was already queasy, there was no way I was getting any down. Obviously, my body didn't want more sodium! Unfortunately, I floundered the next 30 miles, sipping mostly on water and a few swigs of Gatorade while walking pretty much every step of the Towne Pass 16 mile climb. At the top, I decided to try some Pringles again; this time they tasted great. My stomach was still touch and go so I only ate a few, but the saltiness was no longer repulsive. On the downhill, I started taking more water and drinking soda, my energy returned, I started running and running well! My stomach recovered and by Panamint at mile 72, I was wolfing down pizza! At mile 85, I pulled out the Pringles . They tasted so good, I ate half a can. My stomach was solid and I had great energy, I was passing all kinds of people and moved into second place for the women. But ten miles later I was starting to feel a little low again and the stomach was just starting to feel a little wonky. 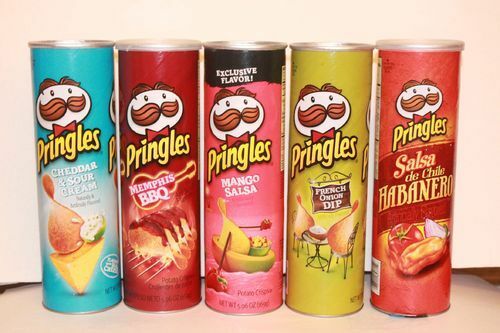 Well, bring out the Pringles! This time I had to spit them out again but not because they were too salty. Instead they tasted like paste; there was no flavor at all and I couldn't detect any salt. I took a salt pill and was feeling better in short order. 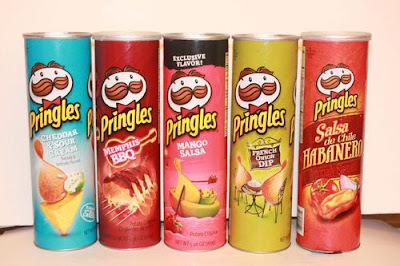 At the next Pringles taste test, they once again were delicious and I left with a handful. I had given up on the EFS as soon as the puking started and instead was using mostly soda (very low sodium compared to sports drinks) and a bit of Gatorade, so I was definitely on the low side for sodium consumption. For the next 30 miles, I was sampling a Pringle every 2-4 miles. When they tasted good, I continued on. When they tasted like paste, I took a salt pill. Using this system, my stomach was better than it has ever been at the end of an ultra and I was able to keep my energy up till the very end to the point that I ran the final 45 miles faster than ANY other competitor in the field (granted, I hadn't taxed my legs all that much early on). It was amazing to me how the perception of one food could change so drastically over the course of the race. But the body is amazing and it knows what it wants, you just have to learn to listen. I do believe my puking at Western States (and my other races) were due to not taking in enough sodium. However, I do think I am fairly well adjusted to low sodium running and 400mg/hr was just too much for me. Exact sodium needs are difficult to calculate precisely but Pringles* proved to be the perfect litmus test for my electrolyte needs while I was running at Badwater and I will most definitely be bringing Pringles** to all of my big races in the future. "Once you pop, you can't stop...running!" Pam, your Pringles experience intrigues me. I would have thought that when they tasted really salty you were low in salt and when they tasted bland you were high in salt. You experienced the opposite. When I crave salty foods I assume I am low in salt and indulge in salty foods or take a salt tablet. I do think getting salt from food is probably better than salt tabs most of the time since you get the taste feedback with salty foods that is bypassed with a pill. I may test Pringles out on my next long training run to see my own reaction. As always, thanks for another interesting post.